Anthony Hetheridge, ninth Baron of Wellegrave, Chief Superintendent for New Scotland Yard, never married, no children, no pets, no hobbies, and not even an interesting vice, will turn sixty in three weeks. With the exception of his chosen career, too sordid for his blue-blooded family to condone, his life has been safe and predictable. But then he meets Detective Sergeant Kate Wakefield – beautiful, willful, and nearly half his age. 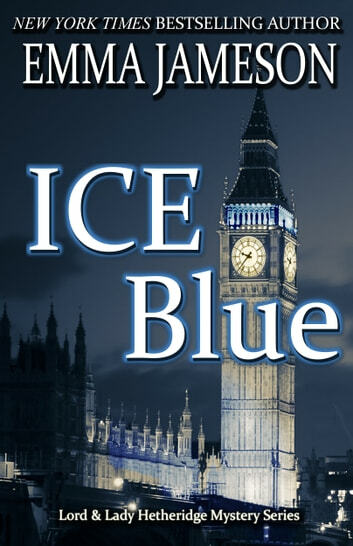 When Hetheridge saves the outspoken, impetuous young detective from getting the sack, siding with her against Scotland Yard’s powerful male hierarchy, his cold, elegantly balanced world spins out of control. Summoned to London’s fashionable Belgravia to investigate the brutal murder of a financier, Hetheridge must catch the killer while coping with his growing attraction to Kate, the reappearance of an old flame, and the secret that emerges from his own past. Love Kate and Tony. Want to learn more about them. Interesting story, great characters. Good book, great read. Kept you interested and turning the pages. Love to read it since it makes me smile reading the characters played out. Nice assortment of quirky, clever characters and a decent murder mystery. I'm looking forward to reading the next book.